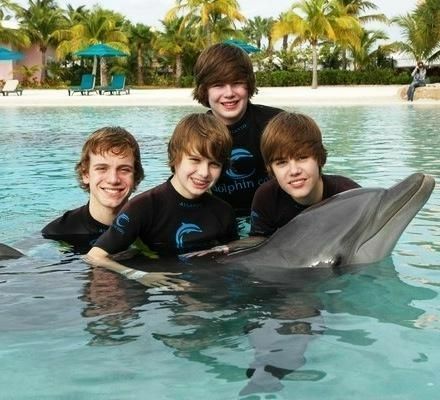 Justin Bieber, the 15-year old Canadian pop star famous for his hits like “One Less Lonely Girl” and “One Time,” loves the Atlantis Resort in the Bahamas. And his recent trip there explains why. Bieber will be enjoying his Bahamian vacation for the first week of New Year. Additionally, the Atlantis is hosting a free Justin Bieber concert for all of his fans staying at the resort. The special acoustic and personalized engagement will be held on Saturday, January 9th in the resort’s intimate theater. Interested in basking in the aftermath of Bieber-mania? The Atlantis is offering a fantastic package for families. When you book online, get the fourth night free, as well as free airfare for a companion. Plus the kids stay and play for free and have unlimited access to the resort’s 141-acre water park, Aquaventure. However, this deal is only offered for a limited time. The package must be booked by February 28, 2010 and you must travel before March 18, 2010. But with savings like this and the lure of Justin Bieber, it should be a no-brainer to act immediately. Visit the Atlantis Bahamas website for more details. And remember to keep an eye out for other famous faces, such as celebrities Miley Cyrus, Michael Jordan and Jerry Seinfeld who have been recent guests. i wish i could meet him!!!!! that guy is justin bieber And i am his biggest fan !! Ryan is wayy cutierrr than justinnn!